It’s April, and Easter is nearly here, which means one thing for a lot of seasonal businesses… opening time! This is when the year really kicks off for a variety of businesses including holiday parks, camp sites, golf clubs and sports venues, just to name a few. If this is sounding familiar, then take 5 minutes to check over our Spring washroom checklist and make sure your facilities are ready for the busy months ahead. If you haven’t already done it at close down, now is a great time make sure that your washroom facilities are a clean and healthy environment for your staff and customers. As a leading hygiene services provider we have seen first hand how the quality of a business’s washrooms and the hygiene standards they hold, make a lasting impression with customers and staff... so let’s make it a good one! Research has revealed that well maintained washrooms improve employee satisfaction in their job, making them feel valued whilst increasing motivation. 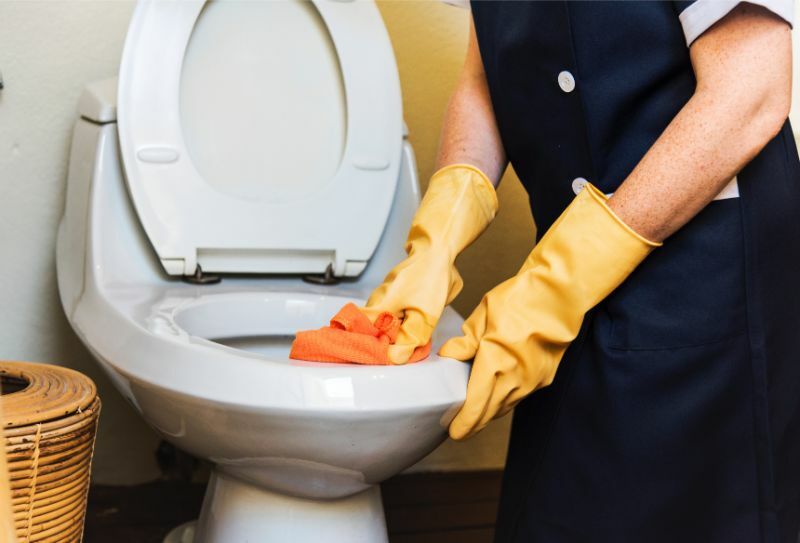 You can click the link to read a full article we wrote about ways in which clean washrooms make for a happy workforce. Don’t get caught short! Most washroom consumables don’t carry a use by date so there is no harm in stockpiling washroom supplies ahead of the busy parts of the year. Once you’ve stocked up on consumables you can return to replenishing items on your usual schedule but always with a batch of supplies in reserve. Whilst you’re arranging this with your washroom company why not also revisit your schedule with them and check everything is in order. If you’ve been on closedown you will want to check the date that regular service will be resuming. When it comes to saving money there is no time like the present. That’s exactly what a water saving system offers you, and opportunity to reduce your bills whilst also doing something wonderful for our environment. Our urinal water saving systems can reduce your business’s water consumption by a whooping 90%. Water saving systems comprise of a number of features to deliver an effective and environmentally friendly solution that we plan, install and then manage for you going forward. Water saving systems that meet the latest standards have the added benefit of being particularly low maintenance whilst improving washroom hygiene standards at the same time. What’s not to like? It’s not uncommon for washroom drainage systems to struggle under the heavy usage they see at peak times of the year for seasonal businesses. Booking a CCTV drain survey is an effective way to pre-empt any issues that may arise in the months ahead and nip them in the bud. Having a scheduled drain maintenance programme in place from a commercial drain company can also be a good idea. It guarantees regular visits from a drain engineer throughout the year, proactively maintaining your drains. ‍If you’re interested in any of the services detailed in this article or would like to book a free site survey and get a quote for your own washrooms, give a member of the TWC Group a call on 01845 525070.